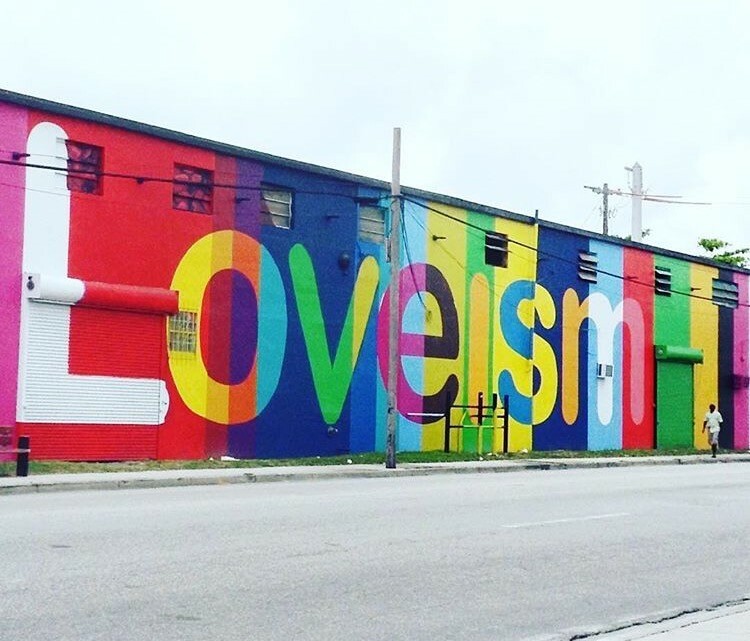 Facing I-95 in the iconic Wall of Fame lies a mural decorated by bright, abstract colorful splatters set against a crisp, clear signature message coming directly from the heart of a Miami Legend: Loveism. A collaboration between Hec One and Trek Six, this movement “..that can only be defined by deeds, not words”, explains Love, “is about how you act, not your internal dialogue”. “In 2011, I came to a realization”, he continued, “I had to move on from myself. I needed to evolve and do something bigger”. Cutting through the noise is what Hec One Love is all about. 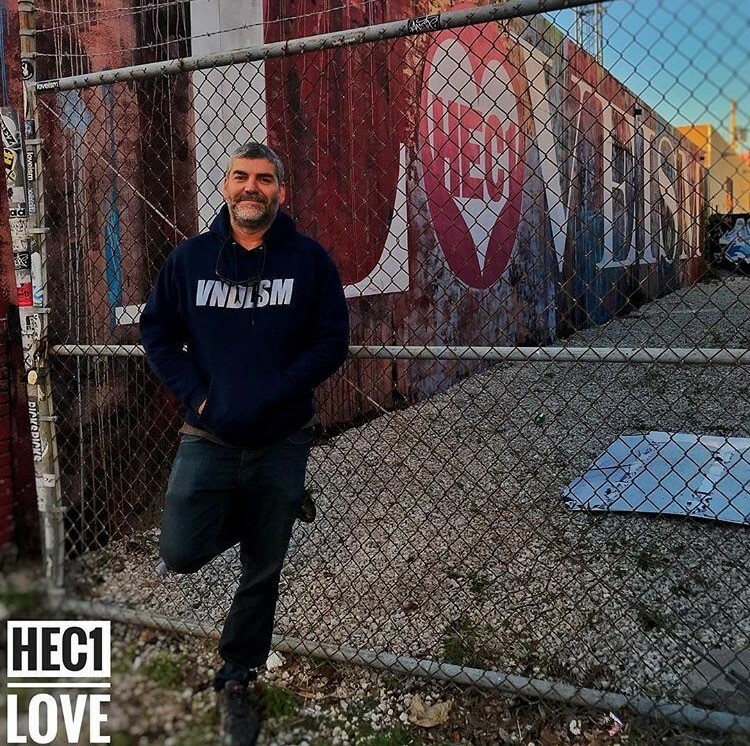 An established street artist born in Havana and raised in Miami, this prolific creative’s roles spread across several disciplines; from retired Graffiti Artist, Videographer, Graphic Designer to Drum-n-bass producer, his many ventures spray an undeniable influence onto the streets and culture of Miami’s humming art community. A Wall of Fame OG, he retired from the streets in 1989. His impressive comeback came 22 years later when he stumbled upon old pictures of his work on the internet. Aside from his Loveism collaboration with Trek Six in the Wall of Fame, you can catch his murals on 20th street, Ft Lauderdale, West Palm Beach, and even a running Metro-Dade bus. Hec One is presented as EFFEN Vodka’s Featured Artist of the month. Catch him painting live at thedeck Wynwood Marketplace located at 2250 NW 2nd Ave, Miami, FL 33127 this Saturday, April 13, 2019, from 5PM-10PM. Wynwood Art Walk will also feature an Artist Pavilion where you can catch artists Nancy Boy, Eric Karbeling, Coes and Cartela express themselves. Each artist will be painting on their own pieces of artwork. Share your Wynwood Art Walk experience! Tag @artwalkwynwood and #WynwoodArtwalk to be featured in our feeds.